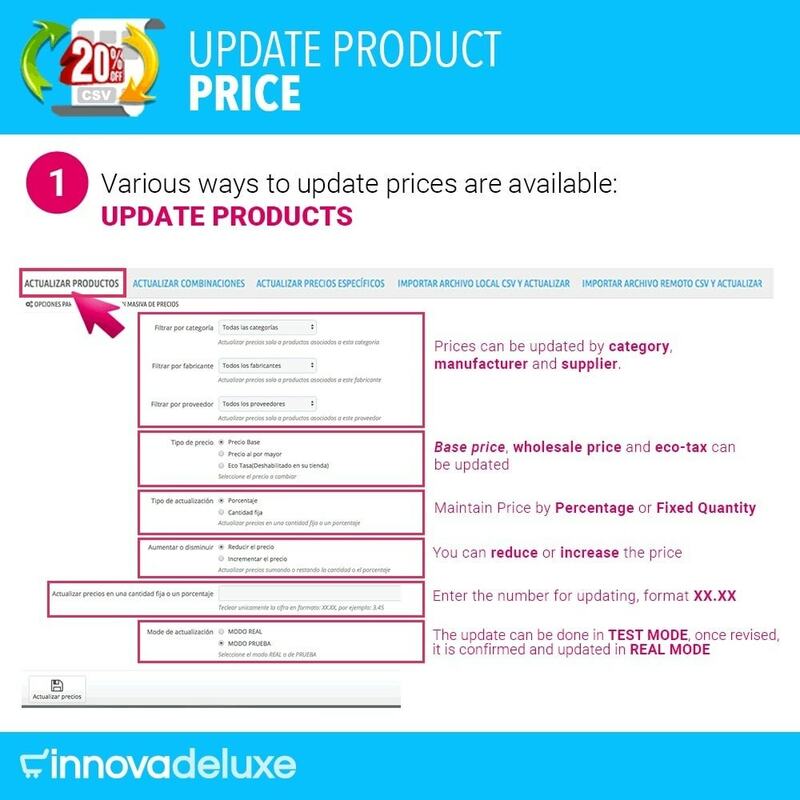 Powerful module to update the prices of your shop's products in a massive way. 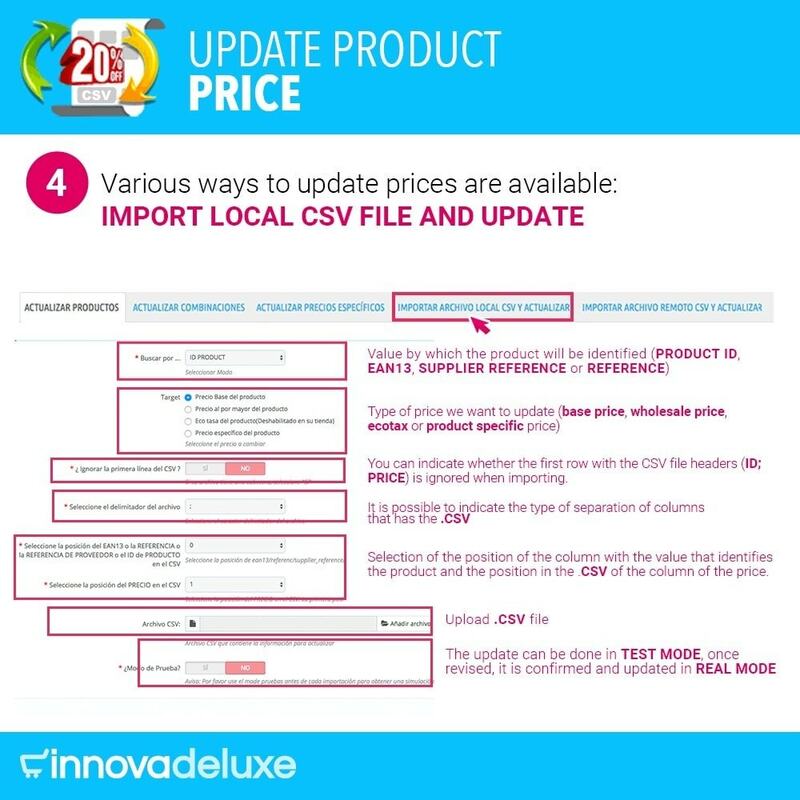 You can update the base price, wholesale, ecotax, combinations and specific prices, by percentage, fixed amount, from a local or remote CSV. 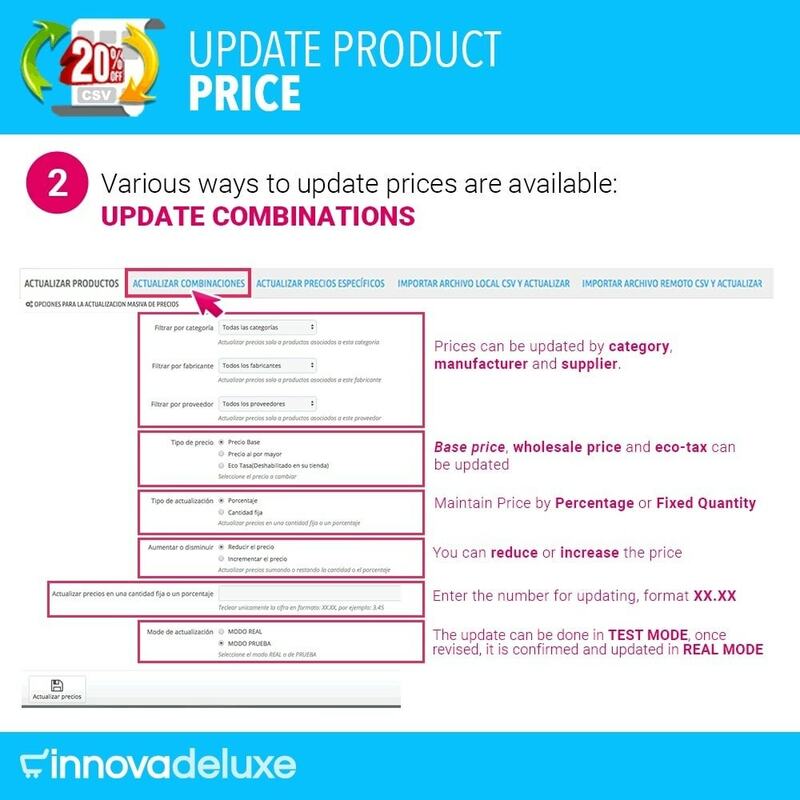 Powerful module to update any price in your store. 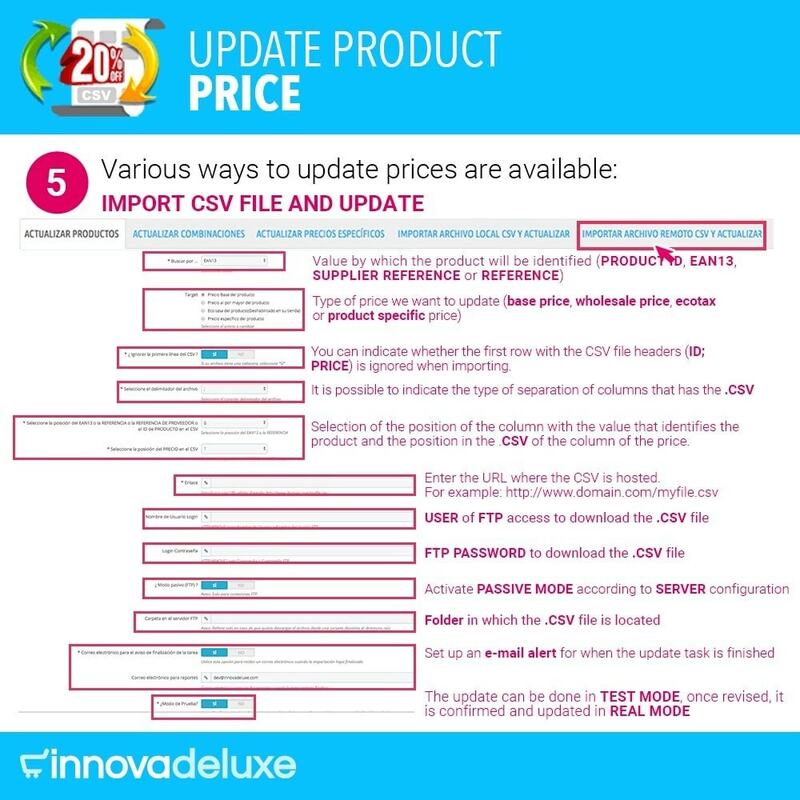 With this module you will be able to have the prices of your store updated at all times in a very simple way, either manually, importing from a file or even automating from a remote CSV file through a CRON task on the server. 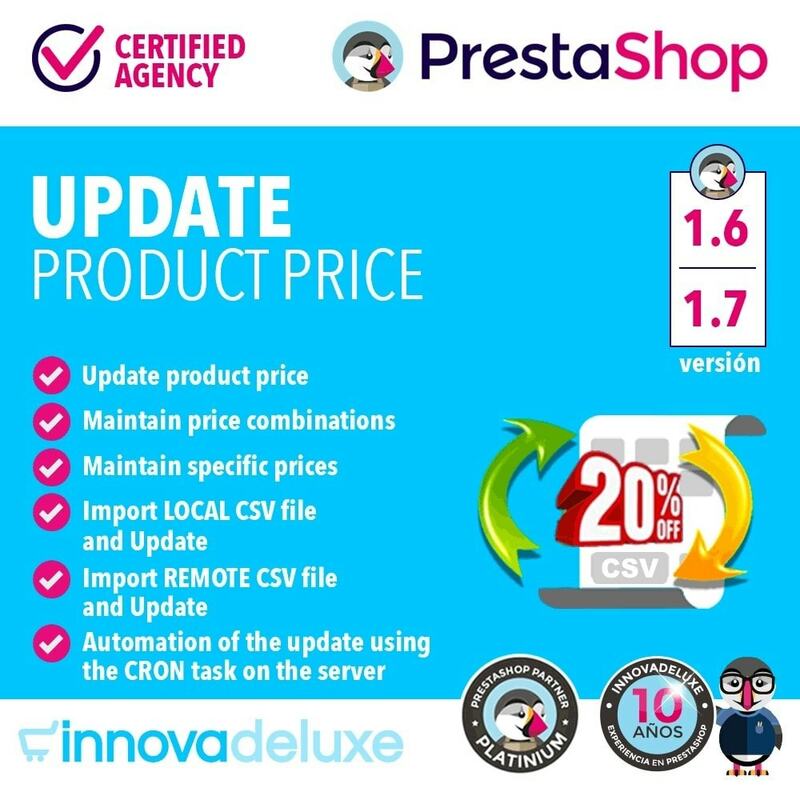 You can make any kind of price change you can think of and you may need, the module covers all the official needs of a PrestaShop store. 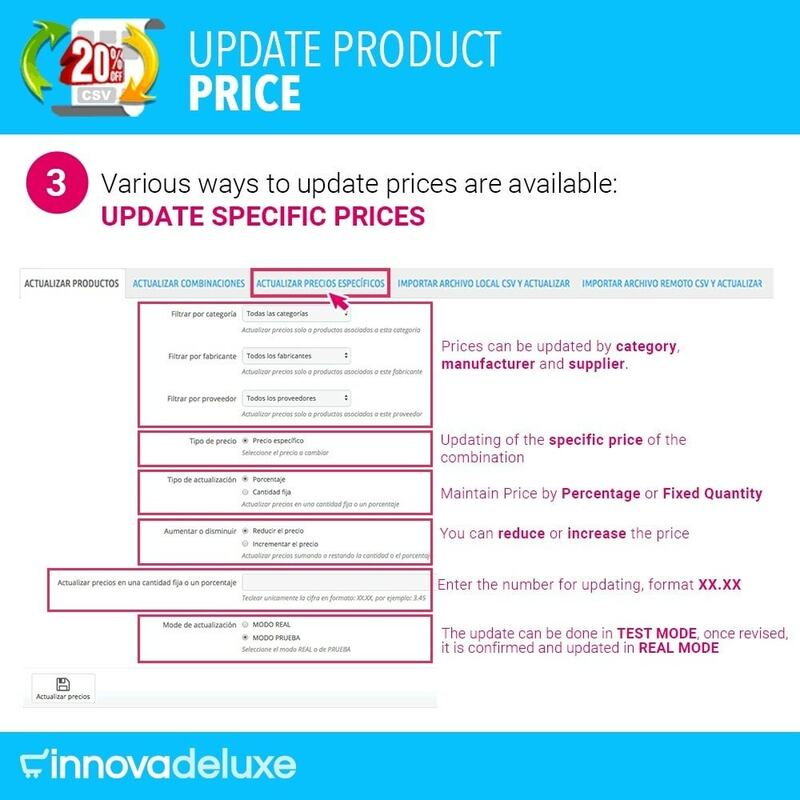 You can either increase or decrease the prices of products, combinations, specific prices, ecotax, base prices and wholesale prices. We offer the best support. If you are having problems with any of our Prestashop modules, please contact us.